Solar Power makes sense in two main ways: environmentally and financially. As electricity costs continue to rise in NSW, and much of our electricity is generated in ways that are harmful to the planet, there are many compelling reasons for using Renewable Energy for our domestic power needs. The uptake of solar power in Sydney and across NSW is accelerating as prices continue to fall, and there are now millions of Australians living in homes powered by solar across Australia. The use of solar power in the home is one of the single, most effective ways to reduce a household’s carbon footprint – each kWh of solar energy generated replaces power generated by other non-renewable sources. In fact, even the smaller average household solar systems can reduce your greenhouse emissions by 2 or 3 tonnes per year. As household solar power is becoming more widespread around the world, recent research is now showing that small-scale solar PV is delivering greater benefits in terms of reduced demand than had been previously thought. Today’s solar panels have a design life of several decades with little or no ongoing maintenance so they are one of the few energy sources that literally have a zero carbon footprint. And when you install solar on your home, you are or course becoming an important contributor to the achievement of Australia’s Renewable Energy Target of 20% Renewable Energy by 2020. Importantly, investing in a Solar Power System for your home is one of the few investments that allows you to make a direct and personal impact on the environment as well as having the potential for financial returns. Talk to one of our expert consultants to find out why Solar Power makes sense – we would be happy to review your current power usage and see if Solar is right for you. As electricity prices continue to rise, going solar can significantly help reduce your power bill. Every kilowatt of solar power that you use is money you are not giving to your energy retailer. The more solar power you can use in your home the greater your potential savings. In NSW Solar systems can often have a payback of only three years! Solar can be one of the best investments you can make for your family, and actual savings will depend on your energy usage so call us now to help you make the switch to solar. These figures assume that all of the solar power is consumed in the home. For personalised figures please speak to our solar experts. * Based on Average Daily Output as published by the Clean Energy Council 2012. ** Annual savings based on an average cost of grid-supplied power of 29c across Sydney. Actual savings will vary based on individual energy usage patterns and costs. The right size solar system for your household will depend on your daytime energy usage, your roof space, your budget and your environmental goals. Our solar experts make sure that you slash your power bills with a solar system that is a perfect fit for your family. Click here for more information. 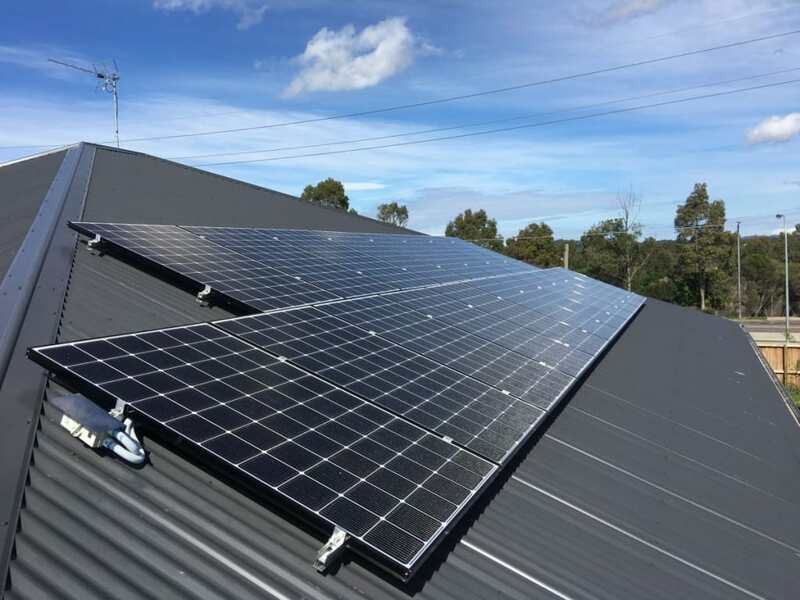 Solar systems in NSW are connected to the grid using a Net System, meaning that any solar power generated is used firstly in the home, and any excess is exported to the grid. As energy costs continue to rise, the financial benefits of solar have increased to the point where the payback is now much shorter than previously. This is due to the fact that with the recent increase in electricity costs (on average 18% and as high as 21% in some areas), many households are paying more than 30c per kWh for electricity (and for many this can be as high as 52c in peak times), so that using solar power in your home can now have a much more dramatic effect on your bill than ever before. For example, if you are paying say 30c per kWh for your power, use 35kWh per day, and your solar system outputs (and you use) an average 16kWh per day, you would reduce your bill by around $1,750 in a year. Solar Power also effectively ‘locks in’ your power costs for the energy you generate over the life of the system – whilst grid power will continue to rise. The financial return depends on the size of the system and your individual usage and each household’s situation and energy patterns need to be reviewed. Solaray can review your individual household energy usage and have developed computer software that allows customers to project not only the costs but also the potential benefits of a solar system.